The current case study is situated within a large, land grant hospital located in the Midwestern region of the United States. Although the physicians had seen an increase in medical related human performance technology (HPTs) within the organization (e.g. computer physician ordered entry) some challenges remained as the hospital sought to improve the productivity of the electronic health record (EHRs). Specifically, physicians had difficulty finding information embedded within the chart due to usability problems and information overload. To overcome the challenges, a semantic search within the chart was implemented as a solution for physicians to retrieve relevant results given the conceptual semantic pattern. The case study will discuss many elements of the implementation based on our experience and feedback from clinicians. The case will specifically highlight the importance of training and change agents within an organization. To advance the quality of health human-performance technologies (HPT), the University of Missouri-Columbia and Cerner collaborated to create the Tiger Institute for Health Innovation. The goal of this research and development suborganization, entitled the Living Lab, was to develop HPT innovations that would improve patient healthcare using theoretical and practical experience from health informatics. As part of the agreement, the University of Missouri School of Information Science & Learning Technologies (SISLT) was also included within the collaboration. Specifically, the SISLT research lab, entitled the Information Experience Lab, provided graduate students to conduct usability and user-centered design research on various products for healthcare, education, and other technologies. The goal of the partnership was that these three organizations would collaborate to provide medical expertise, (University of Missouri Healthcare), software development expertise (Cerner), and evaluative human-computer interaction research (University of Missouri Information Experience Lab) to develop HPT solutions that would meet the needs of physicians and nurses. 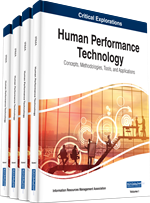 Within the broader context of healthcare, hospitals and other medical organizations across the country have made an effort to improve patient care through effective use of human-performance technologies (HPTs) and electronic performance support systems (EPSSs). One measurement of effective application of HPT initiative includes the Health Information and Management System Society (HIMSS), which ranges from Stage 0 to Stage 7 to explain the EHR adoption model. The HIMMS model is an important measurement because it describes various stages an organization’s maturity and ability to employ technology within healthcare. The low end of the spectrum, Stage 0, describes sharing information resources through artifacts such as paper records or message notes. Alternatively, the higher end of the spectrum, Stage 7, describes efficient sharing of patient data for performance, improved patient safety, and patient care using electronic resources. Prior to the initiative, the MU Healthcare system was at a Level 2 on the HIMMS index. This set the stage for the Tiger Institute and need for HPT initiatives as the hospital sought to achieve a higher HIMSS rating.